Meeting your Spirit Guides. If you’ve been around here for any amount of time at all, you’ve probably heard Spirit Guides brought up a time or two (or five hundred). It’s with good reason that they’re talked about so much — but before you reap all the goodness of having a Guide, you have to connect with them. These 5 tips will have you meeting your Spirit Guides in no time – with no stress and overwhelm. Yay! Spirit Guides are souls that help you through life. Usually, they are souls that you’ve known in a past life. Along with angels, loved ones in heaven, and your Higher Self, they’re part of a Divine support team that nudges you in the right direction, watches out for you, and roots for you. But unlike your bestie, you can’t just fire off a text to your Spirit Guides the next time you need advice. Connecting with them may seem abstract at first (don’t worry, it did to me too), but it’s totally possible — and worth it. Before we dive in, let’s set an important ground rule: Don’t stress. 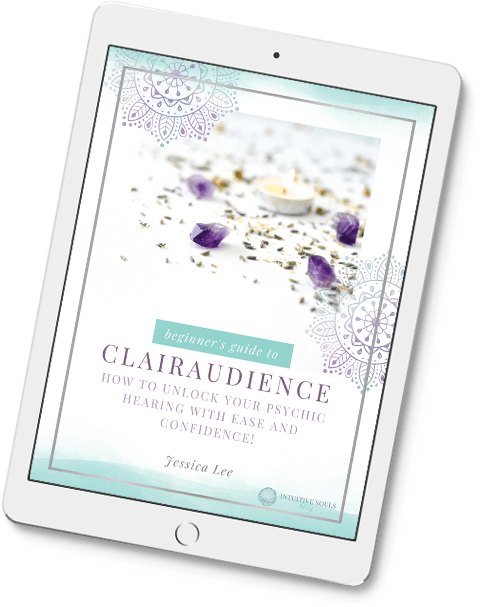 Many people who are new in their psychic development get frustrated because they feel as though they can’t connect with their Spirit Guides. Believe me, I totally get it. But putting pressure on yourself to connect with them will just stress you out. Your Spirit Guides want you to connect with them — that’s why they’re here! Don’t worry if they don’t pop up and introduce themselves right away. Your Spiritual Guides are already around you, working their magic. On a daily basis, they offer you their loving, Divine wisdom. They are here and always have been, since the moment you were born (and even before that!). So really? All you need to do is learn HOW to meet your Guides, which is what we’re going to cover right now. Believe it or not, meeting your Spirit Guides starts with one simple thing: asking them to be a part of your life. I mean, how would you get to know your new neighbor if you didn’t invite them for a chit chat? So start by setting the intention of inviting your Spirit Guides into your life. How, you ask? It’s easy! When you have a few moments to relax, simply hold the intention of inviting your Spiritual Guides into your life. You are acknowledging your Guides and letting them know that you’re ready for their Divine wisdom and guidance to be a part of your life. Tip: You can set your intention during meditation if you want to! (BTW if you are a newbie at meditating, the tips on this page will help you get started in a jiffy). Even though your Spirit Guides are here to help you through your journey, you aren’t aware of your relationship with them yet. So start out by setting aside some time to get to know them — almost like a date! You wouldn’t go from zero to calling to talk through every situation with the guy you just met, right? You’ll need to build a relationship with your Spirit Guides, and that can’t be rushed. So…. Try carving out time to “hang out” with them. Schedule 15 or 30 minutes into your day on Saturday. Sit quietly in meditation, or with a journal. During this time, you can also ask them questions like: What is your name? Can you show me what you look like? Were we in a past life together? What would you like me to know right now? If you need help, here’s my post on how to get started journaling (it’s easy!) and here’s a post on how to make a “date” with your Guides. This tip is soooo much fun. Sit quietly with your eyes closed for about 20 minutes. Use your imagination to dream up what your Spirit Guides might be like! Who are my Spiritual Guides? How many Spirit Guides do I have? Allow yourself to go with the flow and don’t worry about being right or wrong. Imagine that you already know the answers to all of these questions (because you do!). Tip: If you want, you can get yourself a beautiful journal and sparkly pen, and write all of these questions out. Meeting your Spirit Guides can be as easy as giving them a name and start chatting with them. (BTW, In case you were wondering, the gender of your Guide doesn’t matter.) If you have a sense that your Spiritual Guide has a masculine or female energy and want to name accordingly, great. If not, no worries. They don’t care, I promise. Once your Guide has a name, start a conversation with them. I named one of my Guides Esmeralda (it sounded like a cool Spirit Guide name, so why not?). When I first started chatting with Esmeralda, I would think things like Oh! We’re out of tea, can you remind me to pick some up, E? (I call her “E” sometimes. That’s how we roll.) Then maybe there would be a “clean-up” in aisle 8 that forced me to go down 9 and pass the tea. The more I got used to having a conversation with my Guide, the more I felt connected to her. The key to this tip is to not overthink it. Personally, when I’ve tried drawing my Guides, they are just stick figures. But some artistic people are able to draw GORGEOUS pictures of their Spirit Guides. If you’re artsy, whip out some paper, colored pencils, and go for it! Drawing can be a great and fun way to meet your Spirit Guides. It allows you, like the tip above, to ditch your more “logical” brain and imagine what your Guides could look like. Plus, those pictures can be great to hang in your space so that when you’re meditating you have a visual image of your Guides. And hey, if you can only draw stick figures, go for it. They picture might not be frame-worthy, but it can still help you get a visual of your Guides! Well, there you have it! Use these tips to meet your Spirit Guides for a deeper connection with Divine wisdom and your spiritual purpose.